Newcastle-based education charity Success4All has converted a London double decker into the UK’s first ever mobile learning bus to help widen access to STEM subjects. 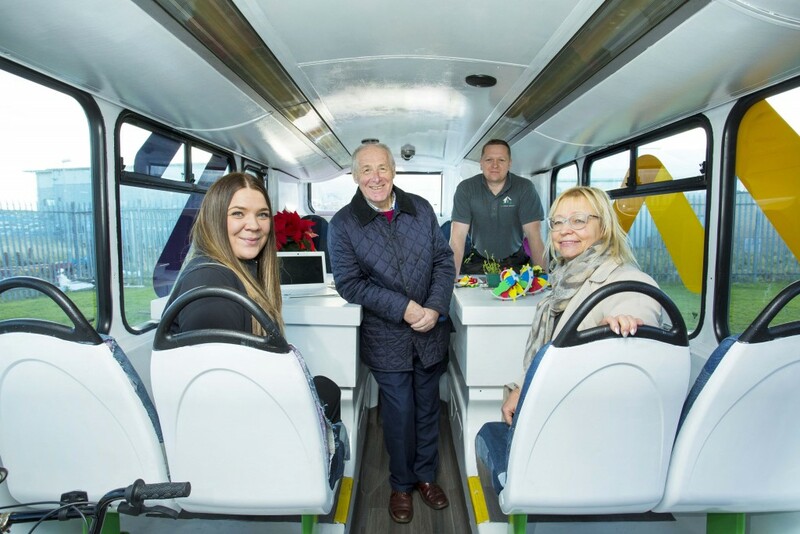 Thanks to funding from the Reece Foundation and other local businesses and organisations, the bus has been transformed into a state-of-the-art education facility, complete with built-in WiFi, STEM equipment and a café. The charity now plans to hit the road and take their range of fun, hands-on activities, such as STEM and computer coding clubs, direct to communities that it otherwise wouldn’t be able to reach. Children’s initial drawings of what the learning hub would look like captured the attention of Sunderland-born architect George Clarke whose came to the North East and filmed the bus for his popular Channel 4 Show celebrates projects which convert small spaces into big achievements. Anne Reece, chair Reece Foundation, said: “The North East needs more engineers and we hope that with its in-built STEM facilities, this unique space will inspire young people through hands-on, practical experience and help them to discover the wide range of exciting career opportunities studying STEM can bring. The story of the charity bus project can be seen on the Channel 4 programme this Sunday, February 10 at 8pm. Anyone in Newcastle earlier that day will have a chance to see the learning bus for themselves as it will be parked in Northumberland Street in the city centre on Sunday between 10am and 4pm. Success4All believes children and young people from certain areas aren’t reaching their full potential – not due to a shortfall in their capabilities, but due to a lack of opportunities, support and confidence. The charity runs Learning Hubs that are relaxed learning spaces where children and young people can access support tailored to their needs. It also lends academic support in: Primary School subjects at Key Stage 2 and 3; GCSE and A-level subjects; basic numeracy and literacy; academic writing, study and careers advice for young people and for parents to support their children.